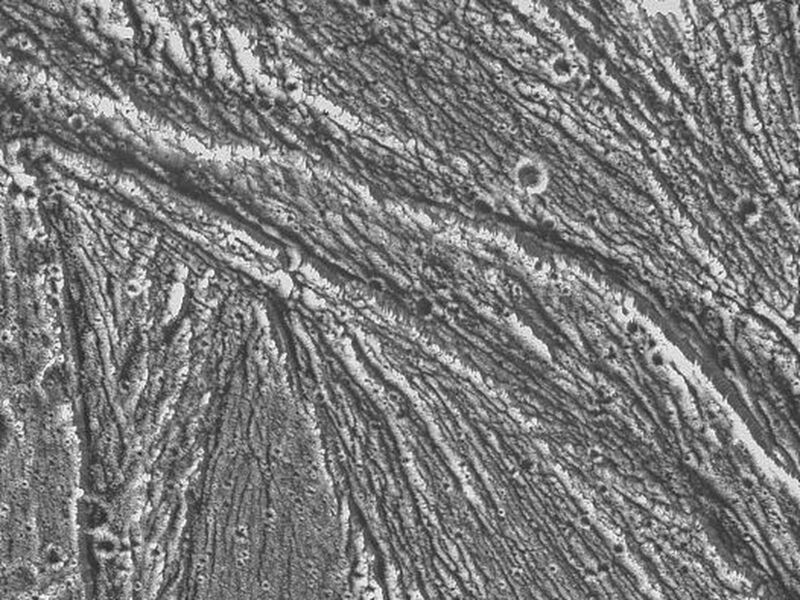 Ridges, grooves, craters and relatively smooth areas in the Uruk Sulcus region of Jupiter's moon Ganymede are shown in this high-resolution image captured by NASA's Galileo spacecraft during its first flyby of Ganymede on June 27, 1996. 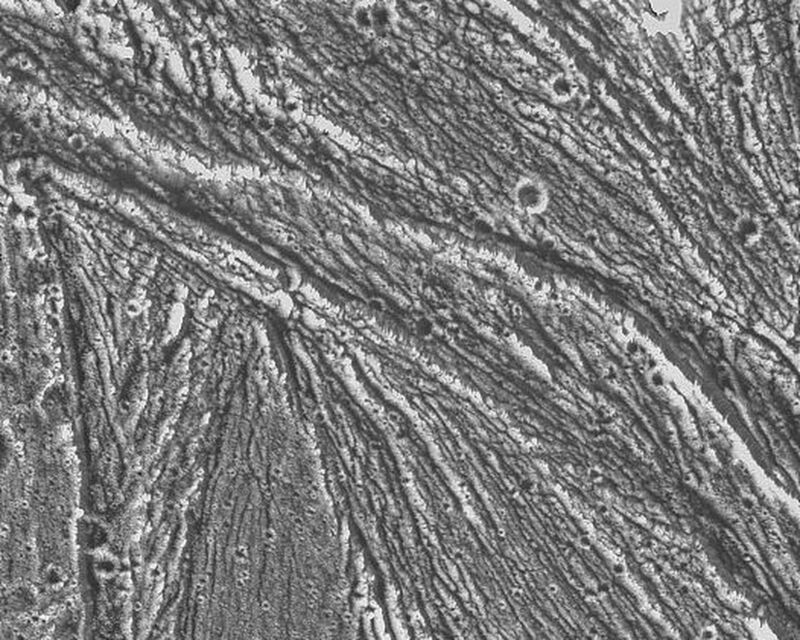 This image was taken when Galileo was 7,448 kilometers (4.628 miles) away from Ganymede; north is to the top of the picture, and sunlight illuminates the surface from the lower left nearly overhead (77 degrees above the horizon). 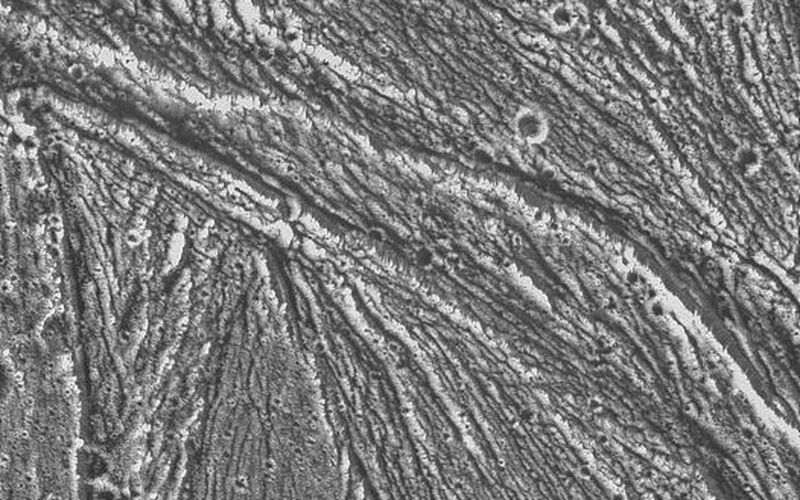 The area shown, at latitude 10 degrees north, longitude 168 degrees west, is about 55 by 35 kilometers (34 by 25 miles); the smallest features that can be discerned are 74 meters (243 feet). 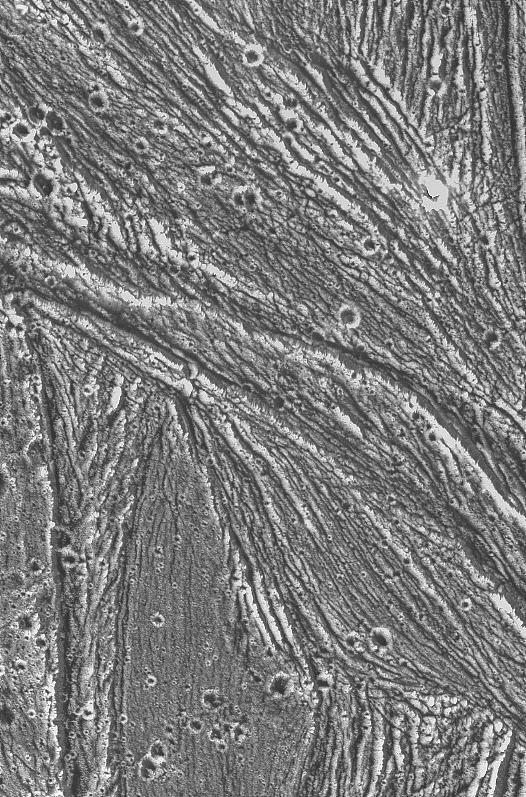 The line-like features are sunlit ridges, often arranged in parallel sets. The patterns of ridges and grooves indicate that extension (pulling apart) and shear (horizontal sliding) have both shaped the icy landscape. The Jet Propulsion Laboratory manages the Galileo mission for NASA's Office of Space Science.